Every Wednesday and Sunday is a pamper night for me, but what kinda pamper night would it be without a face mask? It's an absolute essential for me in my pamper night skincare routine. I have tried so many and I guess you can say I'm a little obsessed with them, clay masks in particular. 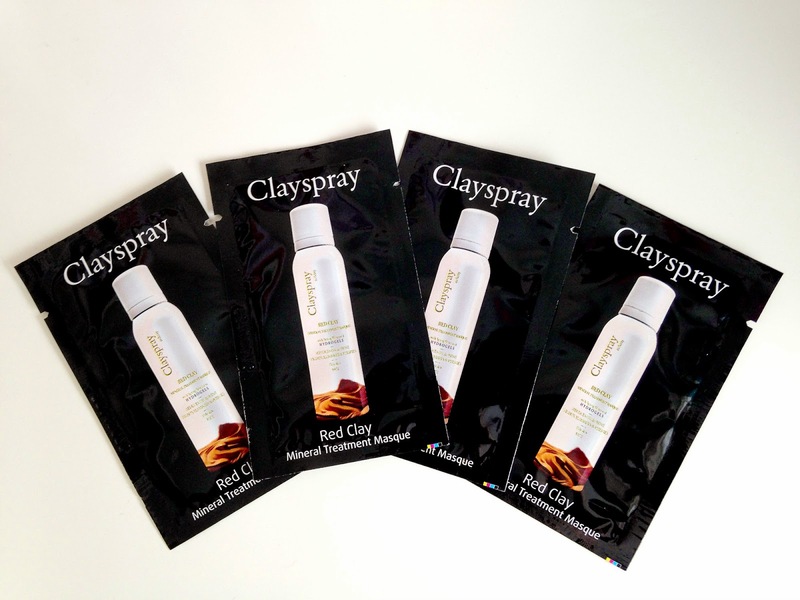 So when I was recently contacted about trying Clayspray I just couldn't turn it down. If you're a regular reader here on Beauty Division you may already know that I suffer from acne. It has been pretty existent in my life(and on my face, neck etc) since the age of 14/15 and at the age of 21 I am still suffering with it. It's not as bad as it used to be in my teenager days but it's still pretty much there, along with some scarring too. Not a pretty sight at all. Due to my spot prone skin I was advised that the Clayspray Red Clay Mineral Treatment Face Mask would be the best option for me as it's made especially for those with oily/blemished skin types like myself. Clayspray also has many other face masks made for other skin types too which I love. My pamper night routine at the moment consists of exfoliating, cleansing, a face mask, spot treatment and moisturising so of course the face mask is the third(but I find to be the most important and effective) step. *Clayspray Red Clay Mineral Treatment Face Mask features very few ingredients unlike many face masks that I have tried. It includes Iron, Clay, Water, Cardamom Seed Oil, Sodium Polyacrylate, Citric Acid and Sodium Hexametaphosphate(such a long word!). I used just the one sachet of the Red Clay Face Mask. There was more than enough of the product to cover my entire face. I was quite surprised as I thought maybe I would need two at least. I left the face mask on for around 15-20 minutes. As soon as 5 minutes the face mask had fully dried down to a lighter brown and I could not move my face(which is always a good thing) in my opinion. The pores on my nose were emphasised and looked like the face mask was doing a good job of pulling out all the dirt and bacteria out from underneath the surface of the skin(ew!). As soon as the time was up I rinsed the face mask off with a wet flannel. Minutes later after I had rinsed and dried off the face mask my face was left feeling quite matte with zero shine and oil. Impressive! Although after an hour or so after rinsing the face mask off that feeling subsides and my skin feels much softer and so comfortable. I love the face mask so much that I will without a doubt purchase the full size. The spots that I had around my mouth(not pleasant) has actually reduced in size and calmed down since using it. It's incredible, I'm so amazed. I don't think I've raved so much about a face mask since the Origins Charcoal Face Mask. I just adore it. I highly recommend the Clayspray Red Clay Face Mask if you have oily or combo but acne prone skin like me. You can purchase it for £25.00 for the full size bottle. In fact, it is currently on sale for £22.50. Yes, it's only £2.50 less but it is a saving nonetheless. Have you tried the Clayspray Red Clay Mineral Treatment Face Masque?